Beginning June 9, you'll have to prove you're 21 to buy tobacco. Thanks to a bill sponsored by Assemblymember Jim Wood, California is joining Hawaii as the second state in the nation to raise the minimum age for tobacco purchases. Members of the armed services are exempt. The announcement that Gov. Jerry Brown had signed the bill into law comes in the wake of a study from the Institute of Medicine, released in March of 2015, that predicted smoking rates for youth could drop as much as 12 percent were the purchasing age raised. 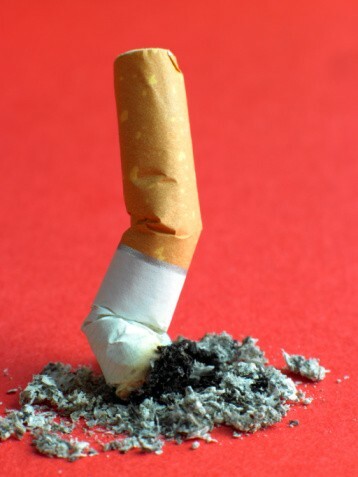 "Most tobacco users start the habit when they are young. Along with increasing the cost of tobacco products, making access to tobacco illegal for youth up to age 21 will discourage use of this highly addictive product," said Susan Buckley, Public Health Director at the Humboldt County Department of Health and Human Services. Brown also signed a bill banning the use of e-cigarettes (vaping) in the same public places where traditional tobacco use is currently prohibited. The federal Food and Drug Administration recently announced that e-cigarettes would be regulated under the same guidelines as traditional cigarettes and smokeless tobacco. Another bill, Senate Bill 1333, which would ban tobacco use in state parks and beaches, is scheduled to go before the Senate Appropriations Committee on Monday. SACRAMENTO – Today Governor Jerry Brown signed SB2X-7 raising the minimum age to purchase tobacco to 21 for the nearly 40 million people living in California. Senate Bill (SB) 2X-7 is part of the Second Extraordinary Session called by the Governor in June 2015 and represents a merger of Assemblyman Jim Wood’s (D-Healdsburg) Assembly Bill (AB) 2X-8 and Senator Ed Hernández’s (D-West Covina) SB2X-7. Assemblyman Wood is the principle co-author of the bill. Assemblymember Wood served as Mayor when the City of Healdsburg became the first city in the state to pass a ban on the sale of tobacco products to anyone under 21 years old. “It is incredible to see something I worked on in a small town in northern California turn into such a huge public health victory and something that will benefit the whole state. Finally, after decades of stagnation, we have passed the most significant tobacco reform legislation in 50 years in California. This policy will prevent countless young people from becoming addicted to a substance that has claimed the lives of millions of their ancestors,” said Assemblyman Wood.